Welcome to Mercy Ebute's Blog: 50 cent files for bankruptcy protection following his $US5 million lawsuit charges. 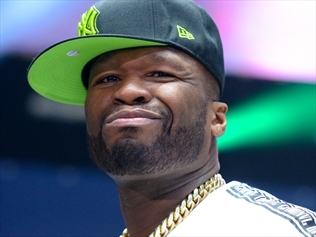 50 cent files for bankruptcy protection following his $US5 million lawsuit charges. RAPPER 50 Cent has filed for federal bankruptcy protection, after a jury ordered him to pay $US5 million ($A6.74 million) in an invasion-of-privacy lawsuit. THE rapper-actor, whose real name is Curtis Jackson III, filed for Chapter 11 bankruptcy protection in US District Court in Hartford on Monday. He owns a 50,000-square-foot mansion in nearby Farmington. The filing comes after a New York jury on Friday ordered Jackson to pay $US5 million to a woman who said he acquired a video she made with her boyfriend, added himself as a crude commentator and posted it online without her permission.